We are loving everything monochrome this season girl. 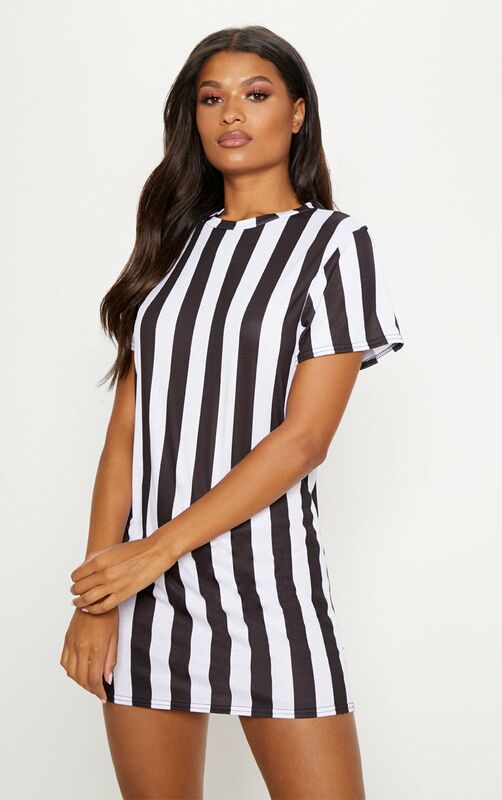 Featuring a super soft material with a black and white stripe design with short sleeves and a t-shirt fit. 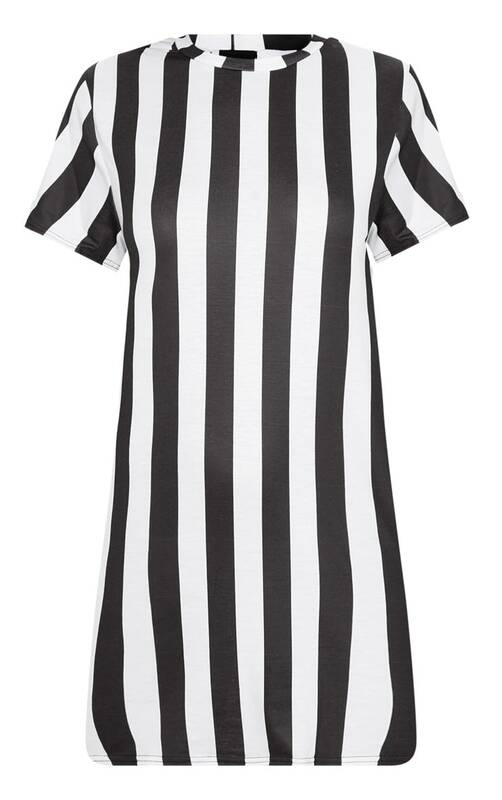 Style this tee dress with some fresh kicks for an ultimate sports vibe look.